Nick Heape at Compton Abbas airfield. Date: 29.06.2013 © Nick Heape. Heritage Flight – Our Tiger was built in 1935 and delivered to the Reid and Sigrist Flying School in Desford, used for flying training. In January 1941 it was requisitioned by the RAF for training duties, and after the war went on to the Christchurch Aero Club. After a period of neglect it was extensively overhauled and rebuilt by an instructor of the club, and in 1979 emerged for its second ‘first flight’. It is now one of the most beautiful examples of a DH82A Tiger Moth in the world, with little over 600 hours flown since the late seventies. The Tiger Moth at Compton. Date: 29.06.2013 at Compton Abbas airfield © Nick Heape. 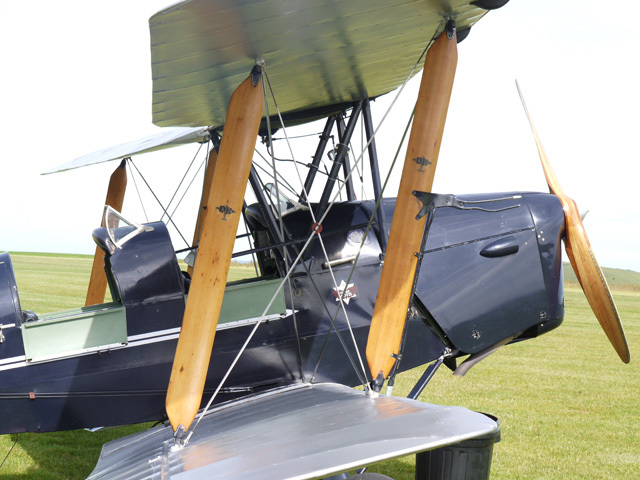 The Tiger Moth at Compton is operated by DH Heritage Aviation, a company that belongs to the Chairman of Compton Abbas Airfield and a man with over 30,000 hours in tailwheel aircraft, Compton’s chief flying instructor Andrew Dixon. 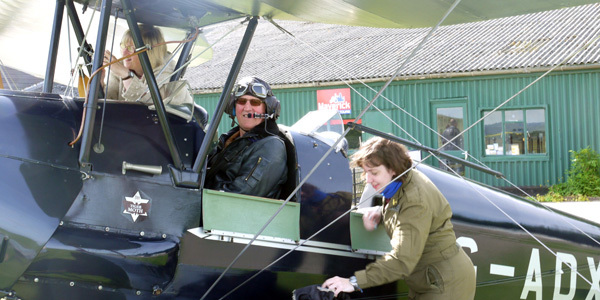 Compton Abbas Airfield is well known as being one of the friendliest and most picturesque airfields, not just in the UK, but around the world. This reputation makes us a popular retreat for everyone; from pilots flying in for some lunch, students learning to fly with us, and members of the public who are looking for a great day out – with good food, fantastic views and perhaps a flight in one of our aircraft! With all our flights the voucher recipient will spend time at the controls under the guidance of a fully qualified commercial pilot and flight instructor. They will be able to plan a route of their choice over some of the most beautiful scenery in England. Once the wheels have touched back down we present each ‘pilot’ with a certificate as a memento of the day. And if they have caught the infectious flying bug – this could be the first entry in their pilots log book!